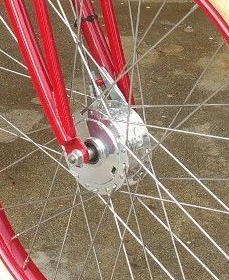 fatter tires can fit on this wide rim. 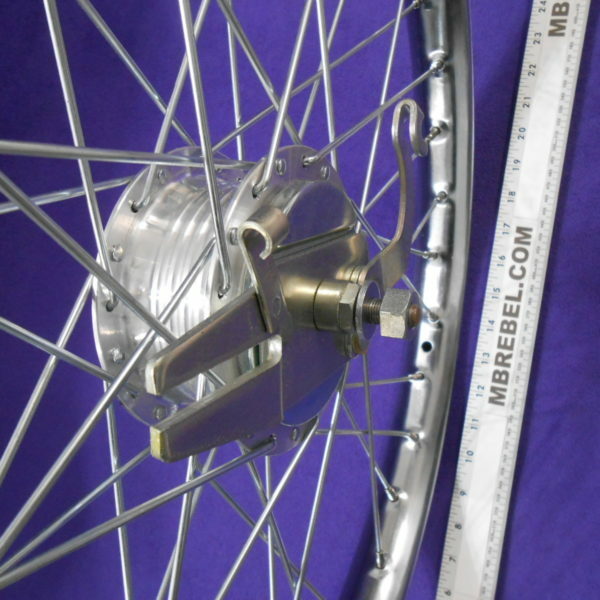 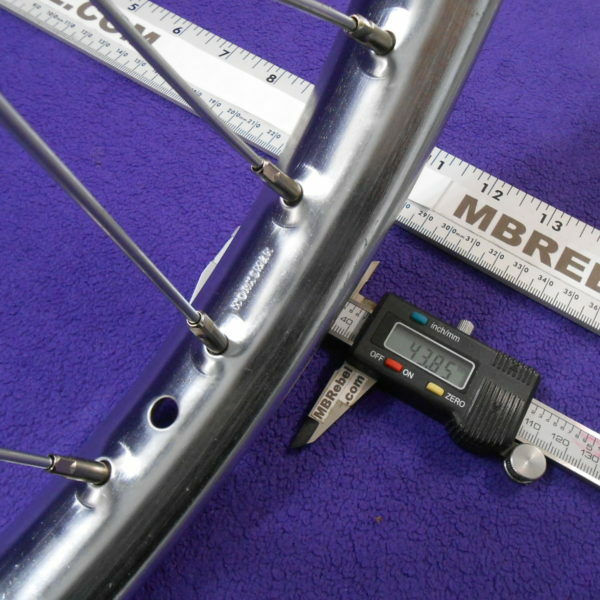 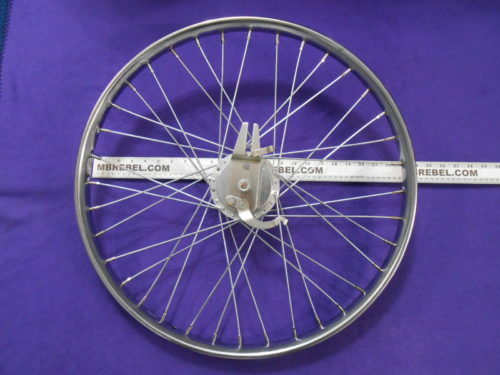 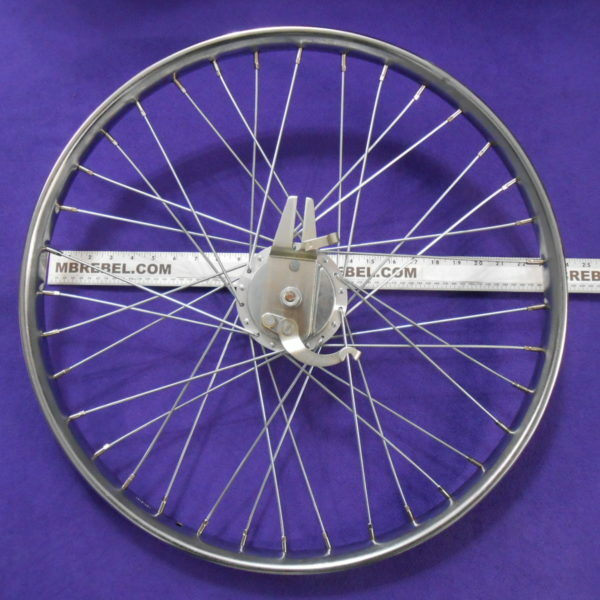 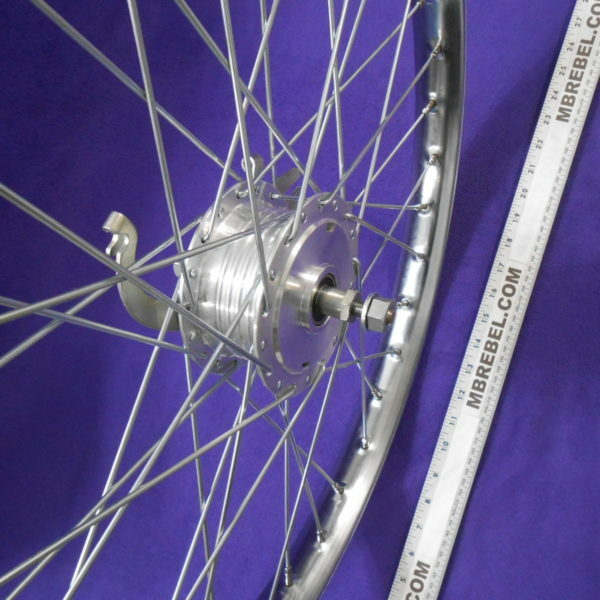 Although this is a new wheel, do to shipping a light truing is recommended. 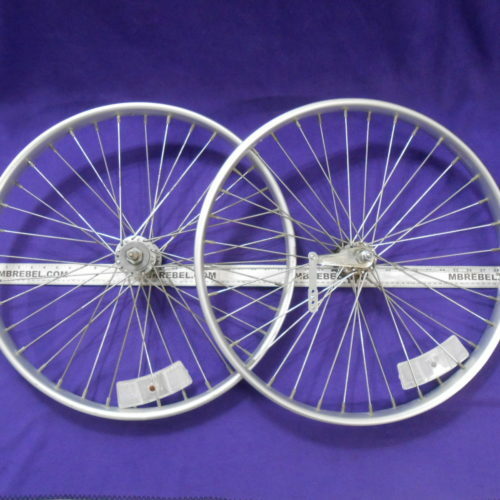 FREE RIM STRIP WITH ALL BUILT WHEELS!!! 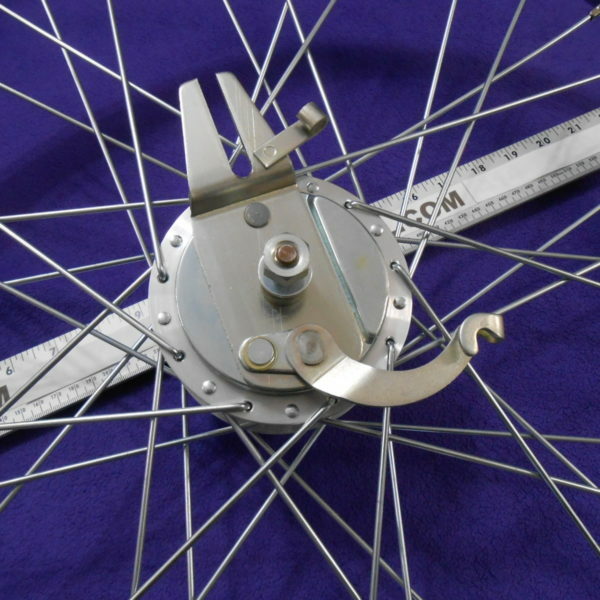 customer fabricated fork with pin. 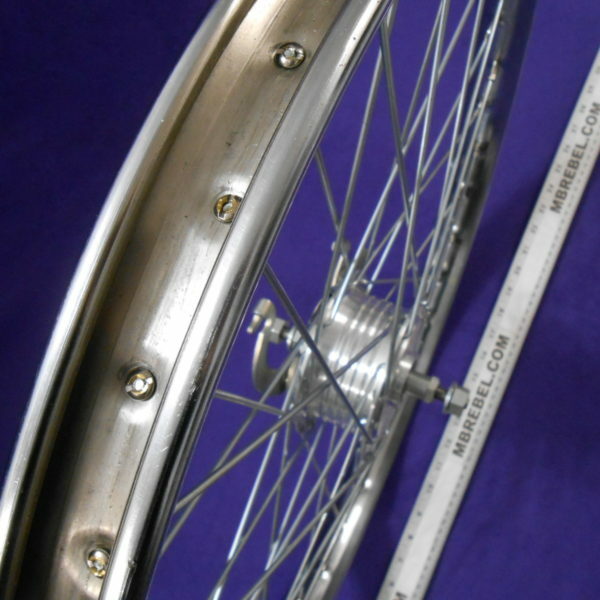 Used WORKSMAN Aluminum Rim Bicycle Wheel Set Front and Rear 26 x 2-1/8 In.